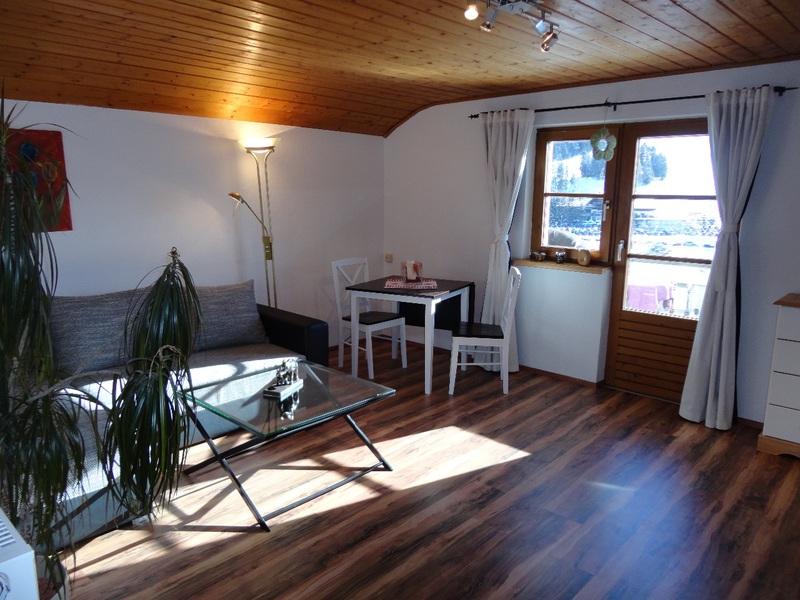 Our house is located on a quiet and sunny estate with wonderful views of the Gschwandkopf and Casino Arena. The free bus stops just across the road from our house. The village center and swimming pool are a short 5 minute walk away. A perfect starting point for hiking and walking at all levels. Just around the corner is a childrens play park and the lakeside park and pool are reachable in 15 minutes. The Flat consists of 3 rooms, bedroom, living room and a kitchen. The bedroom has a double bed and a wardrobe. The living room has a extentible couch for 2 more people. 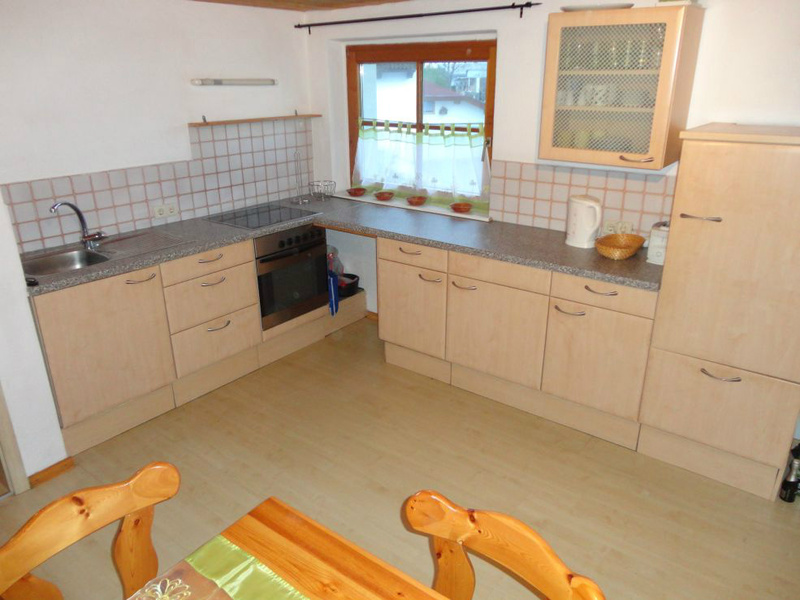 The kitchen has a lounge for 4 people and if necessary a highchair for kids is available. For cooking you have everything you need and the next supermarket is 5 min away.